Distracted driving and speeding are major causes of vehicle accidents. More than 27 percent of fatal accidents involve speeding. While smartphones can be a dangerous distraction, correct use of cell phone apps can reduce risk and promote safer driving behavior. Apps used with hands-free devices can monitor distractions, protect young drivers, call for help when needed, and prevent speeding. 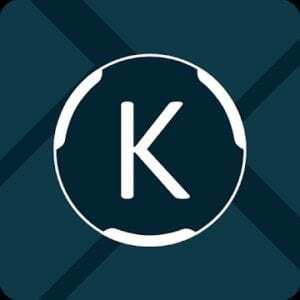 Kruzr is a free android-based app that detects when you’re driving and automatically screens incoming calls and messages. Kruzr tells senders you’re on the road and will respond later. Don’t worry, you won’t miss critical calls. Kruzr automatic driving assistant allows urgent calls to proceed, while less important calls and messages can be retrieved later. Drive Mode is an Android app that includes a voice-control option for streamlined interfacing with your favorite applications, as well as simple swipe or tap functionality. With Drive Mode voice control, drivers can easily access navigation, music and messaging apps. Drive Mode can be setup to launch when you start driving. The app will ignore calls and messages in “Do Not Disturb” mode, send text message auto replies, or you can choose to reply to calls and messages using seamless voice commands, and much more. AT&T Drive Mode is a free app for Android and Apple users and is available on all carriers. 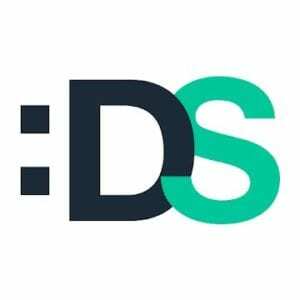 This app silences incoming messages when the GPS detects you are driving 15mph or faster, and turns off when you drop below 15 mph for two or three minutes. It offers you a list of up to five contacts you can call hands-free. Parents of young drivers can receive alerts if the app is turned off. AT&T Drive Mode is also available in Spanish. The iBOLT Dock’n Drive app requires the use of an iBolt docking station. This Android-based app provides automated answering of incoming calls. The “It Can Wait” feature places incoming text messages on hold while the phone is docked. Messages are delivered to the phone when it’s not docked. You can set the auto reply message, such as “Driving right now, will get back to you shortly”. Fleetsafer is aimed at employers who want to reduce the risk of employee liability for accidents on the job. The app appears on company-issued tablets and smartphones. It detects the driving state and automatically puts the device into safe mode. Only emergency calls may be made. 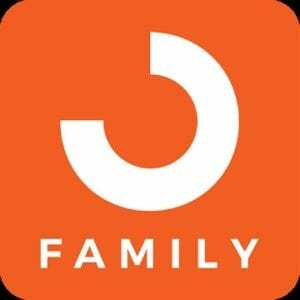 Free and affordable family-oriented apps help parents support safe driving habits for thier teens and provides mom and dad with peace of mind. The LifeSaver Driver Portal for parents provides an easy way to ensure the app is installed and active on their young driver’s smart phone. LifeSaver is available for Android and Apple systems. The application automatically disables texting and calling while the car is moving. An emergency call and passenger unlock feature notifies the parent when the phone in unlocked. The LifeSaver app sends automatic arrival notification text or emails when the driver has arrived at their destination. FOCUS by TeenDrive is a paid Apple application designed to automatically disable your teen’s phone while driving, while allowing incoming and outgoing phone calls. Parents can enable a limited number of selected music and navigational applications through FOCUS. The app will also notify parents any time FOCUS is turned off in a moving vehicle. This free family-oriented driving app gives parents the ability to monitor their child’s driving habits and notifies them when it detects unsafe driving practices. The app is downloaded on both the parents’ and the teen’s phones. It can detect whether the teen is texting while driving or exceeding a pre-set speed limit, among other features. TrueMotion Family tells you where your family members are and how they got there, with details on exactly how they drove including phone use, texting, aggressive driving, speeding, and more. Drive Smart is available free for Apple and Android devices. The app tracks not only the distance and duration of each trip but also all incidents based on speed, acceleration, braking, turns and reaction to traffic signals. Users receive directions and personalized advice to improve driving performance. MamaBear Family Safety is a free app for Android and Apple devices. Recognized as the “Best Parenting App” in 2017 by Mumi Family Awards, MamaBear provides parental alerts for speeding, and provides GPS locations for young drivers. MamaBear also allows parents to monitor their child’s text messages, social media, and arrival and departure times at locations away from home. The DriveSafe.ly app is designed to prevent distracted driving accidents by providing hands-free access to emails and text messages. Powered by a text-to-speech program, Drive Safe.ly Pro converts messages in 27 languages. The app reads text messages and emails aloud in real time, allowing drivers to keep their hands on the wheel and eyes on the road. Many drivers are often unaware of their speed, while others overestimate their ability to control the car at high speeds. But there are now apps that use intelligent speed adaptation technology to help drivers be more aware and maintain control. 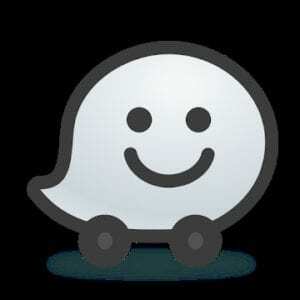 Waze is a free, user-friendly application available for Android and Apple Devices. Primarily a navigation tool, Waze sounds audible alerts when your speed exceeds the posted limit. Waze also offers real-time heads-up about road hazards, traffic jams, and police activity on your route thanks to info from other Waze users. Speed Assistant is a free Android app that measures your travel speed and sounds an alarm if your speed exceeds the allowable limit. 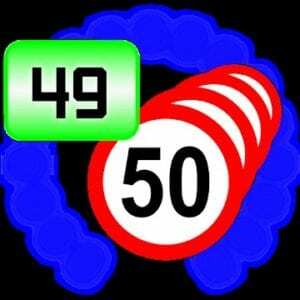 The app provides more than 370 presets for speed limits by countries and by vehicle types. Travel speeds can be measured in mph or kph. Other drivers may not drive as safely as you. Learn about claims and compensation if you’ve been injured in a Cell Phone Car Accident caused by a negligent driver. Mobile operating systems are a type of program that runs your smartphone’s hardware like touch screens, and enables your phone to operate apps. More than 85 percent of smartphones in the United States run an Android operating system, created by Google. Most other smartphones run Apple systems. Both Android and Apple operating systems provide voice activation options that can easily be used for hands-free operation while driving. “OK Google” is all you have to say to activate voice commands on your Android phone. If you haven’t activated voice setting on your phone, don’t worry. Just open the Google app, then at the bottom right tap Menu> Settings> Voice Match. Once activated, OK Google can be used hands-free to open navigation apps, listen to voicemail, make calls, send emails or text messages, and more. “Hey Siri” is what you say to call up Apple’s digital assistant at any time, on any iPhone using iOS 8 or higher. You can use voice commands through Siri to get directions, dictate and send messages, make calls, and play music, just to name a few functions that may come in handy while you’re driving. Open Mic+ is a voice command assistance apps for Android devices. Along with search functions and a myriad of other options, Open Mic+ can be used in your car as a hands-free way to use navigation, location, and calling functions on your smartphone. 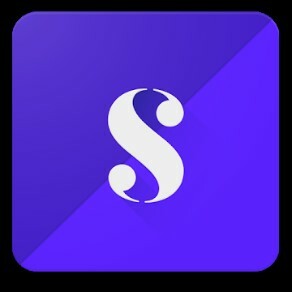 Saiy is an alternate voice command assistance application for Android devices. As with other voice command apps, Saiy provides a hands-free way to use navigation, location, and calling functions on your dash-mounted smartphone. Saiy is also compatible with Alexa, without the need for Alexa hardware, through a default Alexa Service linked to your Amazon Account. Bluetooth is wireless technology used for exchanging data over short distances from mobile devices and building fixed personal networks. That’s a technical way of explaining why in most American cars made in recent years you can connect your smart phone to your car’s stereo system for hands-free voice control. So long as your phone has Bluetooth capabilities, and your car stereo is Bluetooth compatible, you can “pair” the devices in a few easy steps. Once connected, you can use voice commands for calls, texts, and to run your favorite road safety apps. Follow this free and easy guide on How to Pair a Bluetooth Cell Phone with Your Car. Cars that come equipped with Bluetooth technology usually have convenient control buttons build into the steering wheel for accepting incoming calls and to easily initiate outgoing calls, all while keeping your hands on the wheel. Hands-free operation is essential if you want to stay on the right side of the law and keep as safe as possible. Enjoy the ride!